The former teacher from Philadelphia has released two wrestling-themed albums titled “Mat Mania.” He hosts a weekly wrestling podcast of the same name. Visit Megaran.com for details on his upcoming release, The Dewey Decibal System, which drops this spring. 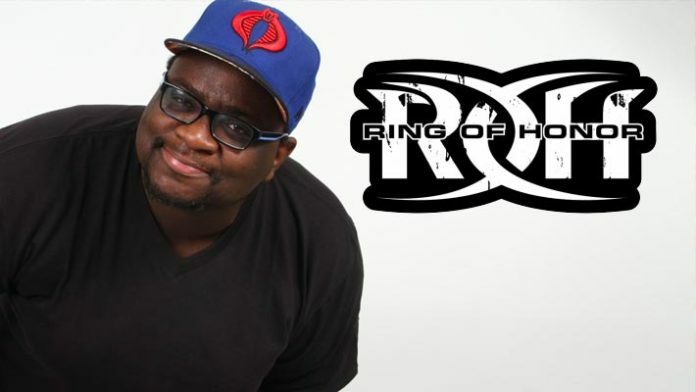 No matches have been announced for ROH’s 17th Anniversary show as of this writing. Talent signed to appear include ROH World Champion Jay Lethal, World Tag Team Champions The Briscoes, World Television Champion Jeff Cobb, Women of Honor World Champion Kelly Klein Villain Enterprises, Bandito and many more. ROH’s 18th Anniversary pay-per-view takes place Friday, March 15th from Las Vegas, NV at Sam’s Town Live. The show will be available for purchase via traditional pay-per-view outlets and will stream live on the HonorClub VIP service.